It is pretty ironic that the band decided on "No One Listens to the Band Anymore" for the album title because I think they have a really strong fan base. I constantly consume all things Damnwells and I was curious to pay attention to my Twitter feed to see what everyone else was saying about the new album. Through the period of March 11th to March 16th, 302 tweets showed up on my feed referencing The Damnwells new album! The really crazy thing is, I only follow 60 people and those tweets did not come from any of the band members! That's a pretty telling statistic! 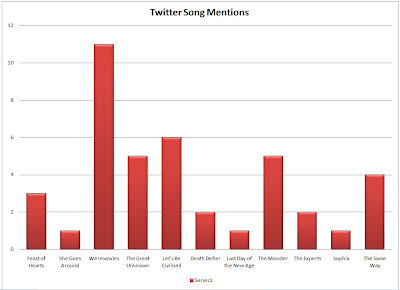 I was also interested to see which songs people mentioned in their tweets to see what the fans were really digging. 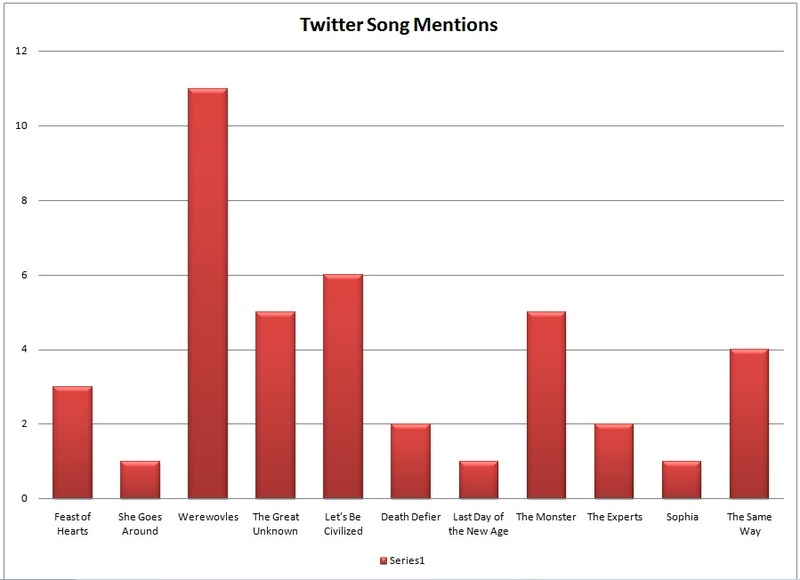 The graph below is the result from my small sample size. Click the graph to view the larger version. 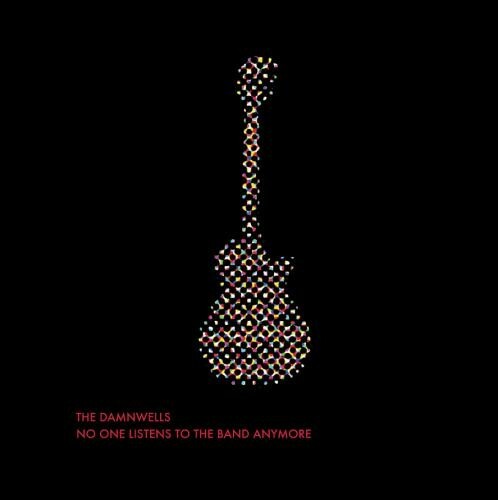 If you haven't had the Damnwells experience yet, do yourself a favor and check them out. If you are a Damnwells fan and follower, leave me some comments below and let me know what you think! I have missed some of the Twitter handles for some of the fan pics. Let me know if I have left you out!